The Yuneec Typhoon H is an advanced drone that rivals the DJI Phantom 4 Pro. It comes with many of the features that were only found in DJI drones. The 4K camera stabilised by the CGO3+ gimbal provides for smooth video footage and crisp 12 megapixel still images. The RealSense obstacle avoidance system builds a 3D model of its surrounding and navigates around it. There are also several intelligent flight modes and the controller comes with an integrated 7-inch android tablet for a more immersive flying experience. I am starting to love the Yuneec range of high-end drones, in my last review I suggested that Yuneec may challenge DJI in the consumer drone market for drone supremacy. With this review of the Yuneec Typhoon H, I will see if they any closer to closing the gap with DJI. While DJI have ruled the consumer drone market for the past few years and while their dominance is merited, there are new challengers and Yuneec is leading the pack. 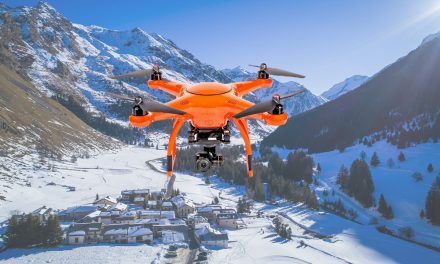 With the likes of 3DR Solo GoPro’s Karma and now Yuneec’s typhoon range, DJI’s rule over the droning world may be in for some serious competition. 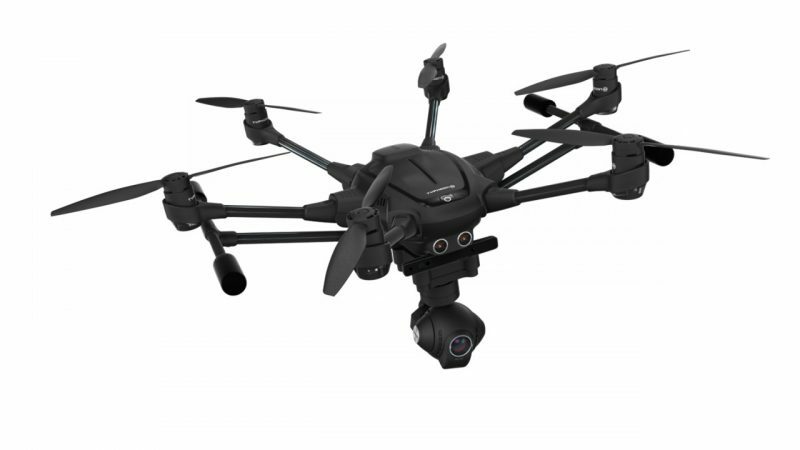 Yuneec’s typhoon H is unlike any other drone in its category, for one it has 6 rotors instead of 4 which makes it hexacopter. 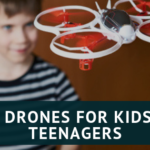 It also comes with many of the smart features that have made drone flying so popular for both the experienced and new pilots. Both Yuneec and DJI have a range of drones that are fantastic for both amateurs and professional photographers and videographers. 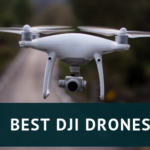 Though 3D Robotics made the first truly smart drone in the 3DR Solo and it is an awesome drone (one of my favourites) It hardly made a dent in DJI’s dominance. With the typhoon H, Yuneec look set to really challenge DJI for drone supremacy. 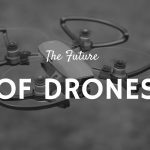 Though Yuneec have been making drones for a while now, they along with the rest of the competition have been overshadowed by DJI’s dominance. That may change with Yuneec’s line of typhoon drones and its Typhoon H is their latest and most advanced model to date. This remarkable drone looks more like one of those industrial drones you might have come across that are used for constructions sites or agriculture. Make no mistake, Yuneec have put a lot of effort into this drone and it’s packed with smart features that match that of DJI’s Phantom range. The Typhoon H comes in three versions, Typhoon H, Typhoon H Pro and Typhoon H Pro RS. The Typhoon H is the basic version (if you can call it that) it comes with everything you need to fly this drone. The Typhoon H Pro comes with an extra battery, the typhoon wizard (more on this later) and a backpack. Lastly, the Typhoon H Pro RS comes with everything the Pro provides and an added piece of technology, Intel®Realsense™. 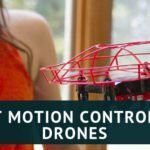 Along with its obstacle avoidance sensors, Intel®Realsense™ technology lets the drone detect avoid and navigate around obstacles. It is also equipped with indoor positioning system which lets you fly indoors safely without the aid of GPS. AS mentioned there are 3 versions of this drone, you get everything mentioned plus an extra battery and backpack with the Typhoon H Pro. And with the Typhoon H Pro RS, you will get the Wizard controller thrown in as well. As I stated near the beginning this drone has six rotors instead of your usual 4, this gives it an advantage over quadcopters in that if one propeller was to stop working it will still be able to fly. The rotors are also retractable which makes it much more travel-friendly which makes it easier to store and carry. The camera is mounted on a 3 axis gimbal that can be rotated a full 360 degrees. 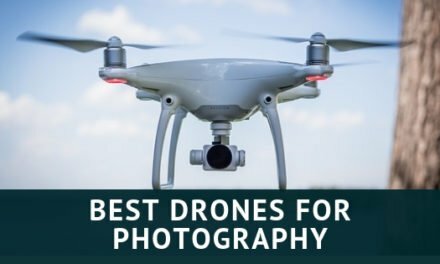 This feature makes aerial photography and videography much more convenient because you can easily take photos of something you may have missed without having to rotate the drone. This takes us to next nifty little feature this drone has to offer, with the push of a button its landing gear is retracted giving the pilot an unobstructed view making it even better take video footage and photos. The Typhoons camera, called CGO3+, is an upgraded version of the camera that comes with the typhoon Q500 4K. It shoots in ultra-high definition 4K and can produce 12-megapixel images. The camera can shoot HD footage at 30 fps or 1080p at 60 fps and has a 98° field of view. There are also a variety of camera settings that can be altered via the transmitter to your liking. Like the 3DR solo, the Typhoon H has been designed to be upgraded and expanded so that it will not become obsolete in a few years. Although I don’t see how it will become obsolete with its impressive range of features. Although we do live in a fast changing technological world so it’s comforting to know that they have future proofed it. The ST-16 transmitter comes with a 7” HD screen that can turn into your very own Android tablet. 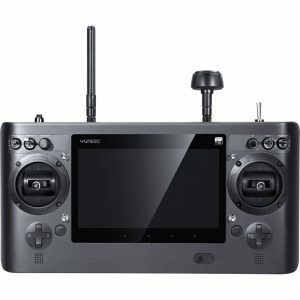 No need to carry around a smartphone or tablet to get first person view.Mind you getting used to this controller will take some time with the amount of control it has on it but once you master the controls, you master the drone. The 720p display is crisp and bright and using it in direct sunlight causes little glare, although there is a sun shade that comes with it. 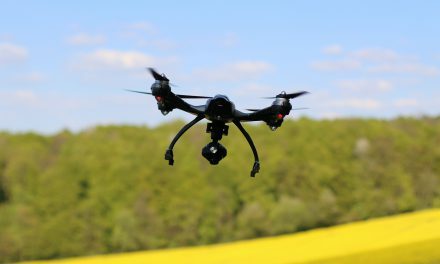 Under optimum conditions, you should be able to control the drone from a maximum range of 1 mile/1.6km. Powered by Android the ST-16 transmitter streams live HD footage straight from your drone and has a variety of on-screen telemetry data that enables you to tweak the drone settings to your liking. It has a button on each side of the controller to take images or video footage and a switch at the top right to change flight modes. It has three flight modes, the standard mode is for your more experienced pilots and smart is for everyone experienced and newbies. The third mode, once enabled, activates the drones to return home. At the bottom, there is HDMI port so you can connect FPV goggles for a more immersive drone experience. There are also two cooling fans at the back to help maintain optimum temperature for the transmitter to function properly. 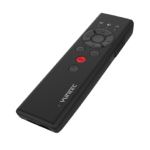 The transmitter has haptic feedback and vibrates when the battery is getting low on charge. There are numerous controls which will take time getting to master. However, because this is a smart drone its smart mode will let you control the drone quite easily. It’s smart functions are pretty much like those on the 3DR Solo and Phantom 4 Pro but they go under different names. Team mode – Allows you to control the drone and gimbal with separate ST-16 transmitters. Of course, you would have to buy an extra transmitter. This is a valuable feature for professional photographers and videographers. Journey Mode – Or selfie mode, this will let the drone go up as far as 150 ft and take an aerial selfie. Curve Cable Cam – On the transmitter display you will be able to programme a route for the typhoon H to fly through autonomously and at the same time manually control the camera. Orbit me – The typhoon will orbit you (or the person holding the transmitter) even if you are on the move. Point of interest – This is like orbit me but instead of orbiting the person with the transmitter, the typhoon will orbit a point of interest by selecting a position on the screen. Return home – This returns the drone to its point of take-off. This also happens autonomously if the battery gets low. There are a couple of other smart features that has been programmed into the typhoon one is called smart safety. This feature is programmed to comply with local airspace regulation, as far as I know, it complies with the UK (CAA) and the US(FAA) laws. Also, if you do not establish a 26 feet distance between you and the drone it will not take off. 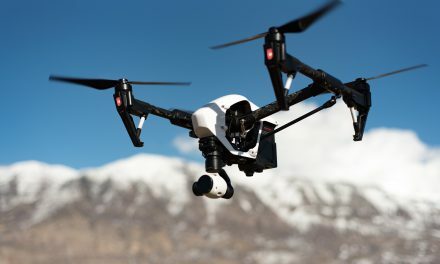 Another safety measure is obstacle avoidance, just like the other drones in its category, the Typhoon H comes with obstacle avoidance technology. It has two sonar sensors at the front that can detect any obstacles in front of and avoid a collision. With the typhoon H Intel®Realsense™, not only will it avoid the obstacle but it will try and detect a way around it and continue on its journey. Pretty impressive huh?! Along with the ST-16, you can also control the Typhoon H with its unique one held controller called the Wizard. This comes free with the pro package and is a useful extra accessory. With it, you can just about do anything you would with the ST-16, all with just one hand. It also has a revolutionary new feature called point to fly, literally just point to a spot in the sky and the typhoon will fly to that position. You can also use it in team mode, while someone controls the camera with the ST-16 you will do the flying with the wizard. Per the official specs, you should expect to fly this drone for around 25 minutes although from experience manufacturers sometimes overstate thus number. Flight duration can also depend on what you plan to do with the drone and under what conditions it is being flown. So, expect something from 18-22 minutes which is still decent flying time. The basic package comes one 5400mAH Lithium Polymer battery that can take up to 2 hours to charge. With pro package, you will receive two batteries, buying a drone of this calibre you will probably need more than one battery so you should give that a thought should you purchase this drone. The transmitter also comes with its own built-in 3.6 8700mAh lithium-ion battery that can be charged without having to remove it. The transmitter also comes with its own built-in 3.6 8700mAh lithium-ion battery that can be charged without having to remove it. The downside is its battery charge time and its video transmission is not as good as the Lightbridge technology used by DJI. Still an impressive drone and one that is a true alternative to DJI’s top end drones. 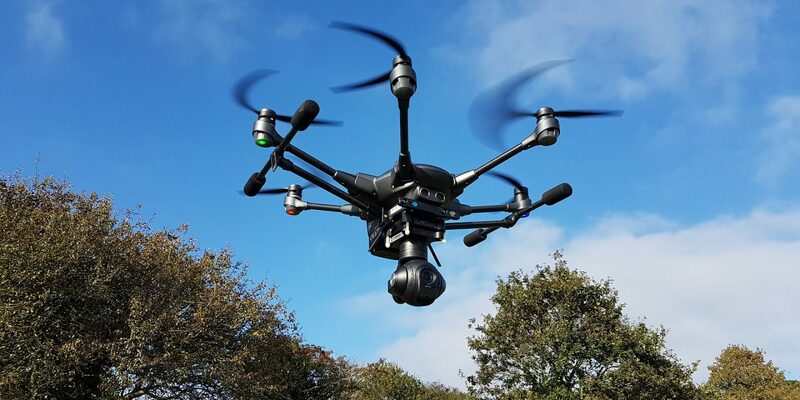 For aerial photography and with a host of smart features, the Typhoon H will not disappoint. The controller comes with an Integrated android tablet for HD first-person view.